The ‘Houseplant of the Month’ campaign will continue in 2018. 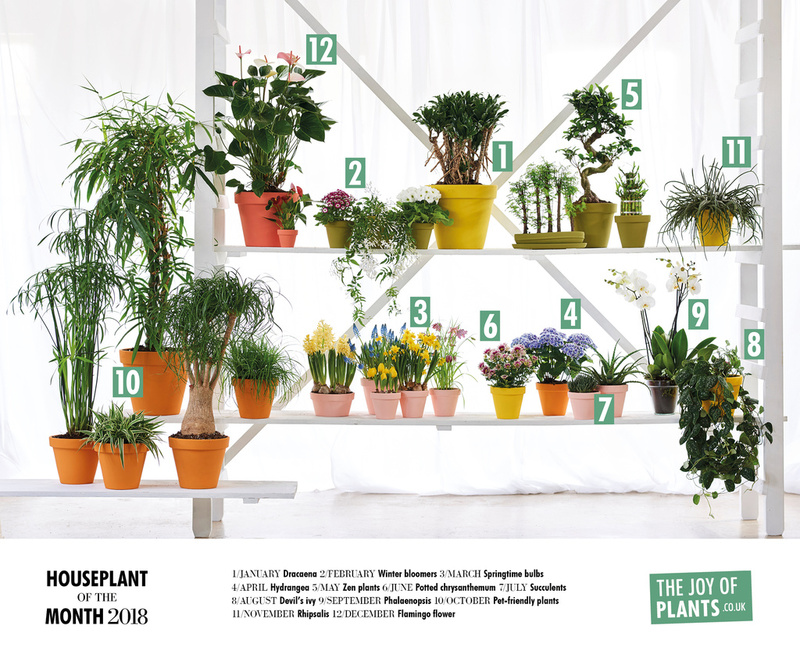 This PR-campaign shows off the wide and deep range of houseplants. It also enables us to provide the press and consumers with news about different plants every month, with the ultimate aim of persuading consumers that you feel better with plants around you, and consequently, buy more plants. We are thereby also offering the trade and the sales outlets a year-round programme in which to engage. The list of plants has been created in collaboration with the product specialists at Royal FloraHolland. A number of criteria have been taken into account in making the selection. Thereafter, a product may only be promoted once every three years, to enable us serve as many product groups as possible. In order to guarantee good availability, there must be at least four growers who produce the plant or group of plants, and the products must have a good supply over a period of seven months (with the exception of one or two seasonal products). We also consider whether the plants are of interest to consumer, the consumer press, and fit in with current lifestyle trends. The list is being published now to give the various sales channels and producers enough time to plan ahead, and to encourage them to develop their own sales promotions so they can benefit and profit from the campaign.